I love zucchini so I’d probably like that. You would! 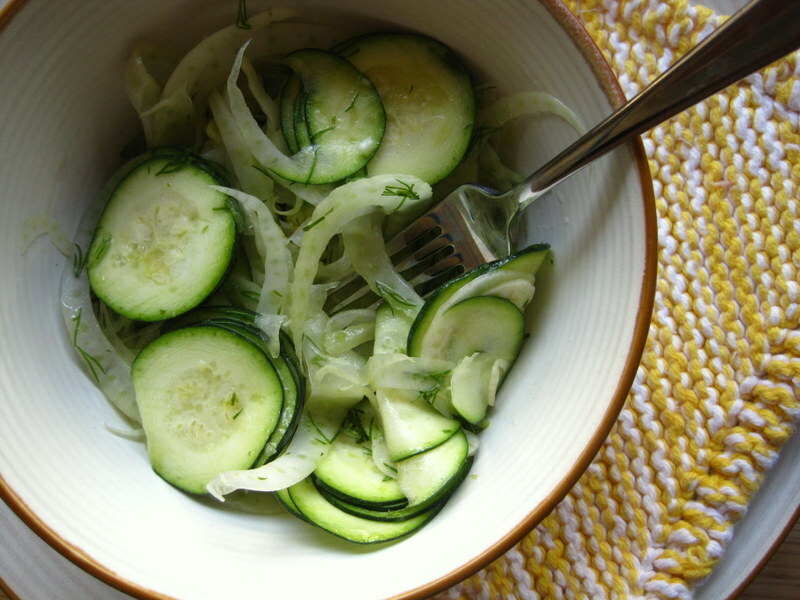 Raw zucchini is surprisingly delectable when sliced very thin! Hey since I now have a thin-slice-aronius I could certainly make this ! Hahaha, indeed! But be really careful with your fingers! 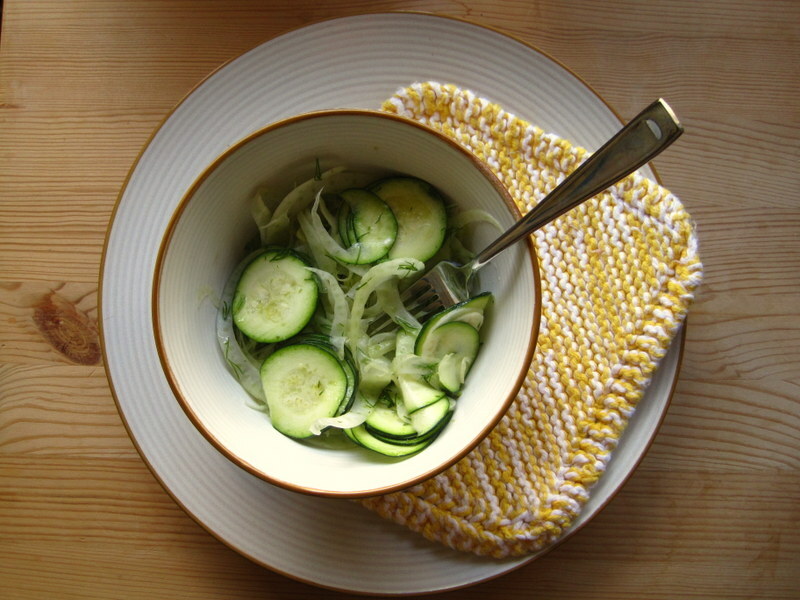 I’m always surprised by how much I like fennel too, but it really is amazing. You should try it with saffron and a tomato sauce; it’s out of this world good!